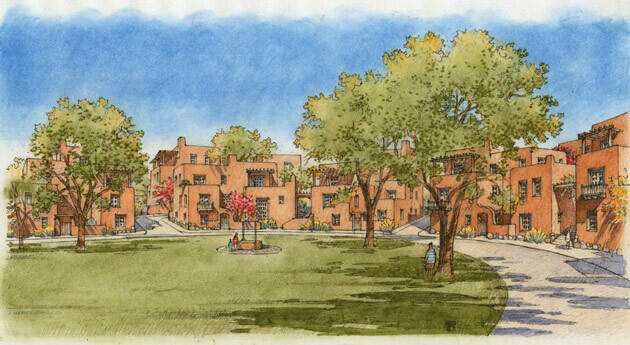 Located at the edge of Santa Fe, New Mexico, the form of Santa Fe Foothills is inspired by that of a typical Southwestern cordillera village. The neighborhood is dominated by a single pedestrian-friendly street with detached houses on both sides. This main street is located parallel to an existing arroyo, with perpendicular streets running up the gently sloping hillside. 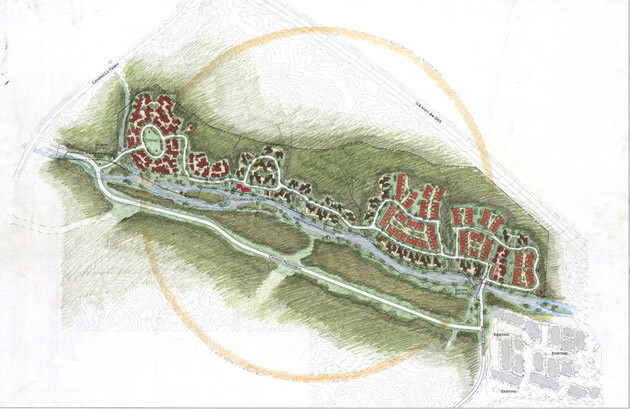 All streets are engineered to preserve natural waterways and to minimize disturbing the terrain. Various house types are clustered into five distinct configurations. Row houses are centered on a small rectangular plaza at one of the site’s entrances; a large oval plaza serves as the heart of a group of courtyard housing at the other. 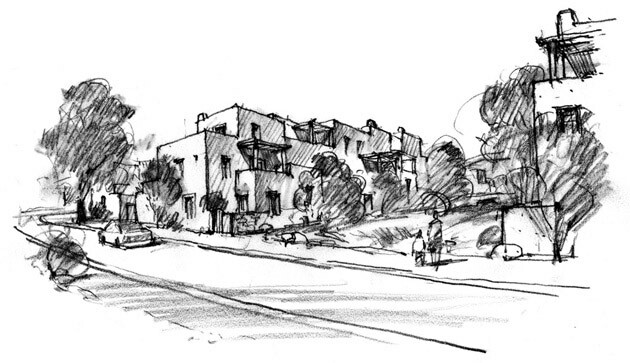 The houses on the streets are arranged in duplex, triplex and quadruplex form, with cars tucked under and away from the roadway, following the precedent of Santa Fe’s Canyon Road. The project is being built, but not in this form.